Runtime 2 hr. 30 min. 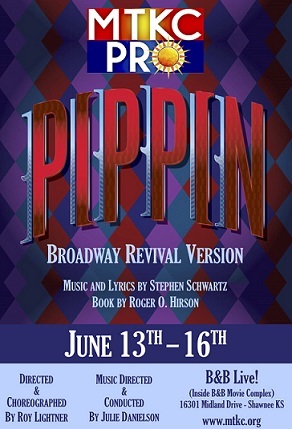 SynopsisAs told by a troupe of actors led by the cunning and charming Leading Player, Pippin is the story of a young prince on a hero's journey, as he desperately seeks the secret to happiness and fulfillment. He seeks it in the glories of the battlefield, the temptations of the flesh and the intrigues of political power. In the end, Pippin discovers that happiness lies not in extraordinary endeavors, but rather in the every-day joys of a simple life. Music and Lyrics by Stephen Schwartz (Wicked, Godspell, Disney Animation). Now Playing At Choose a theatre Shawnee 18 with Grand Screen®, MX4D®, and screenPLAY!